We can help children develop character strengths, like grit and self-control, and overcome adversity. Do Our Children Need More Adversity? Do Kids Work Harder If They Believe They Can Change? What Character Traits Predict Success in Children? What’s the Best Antidote to Childhood Stress? 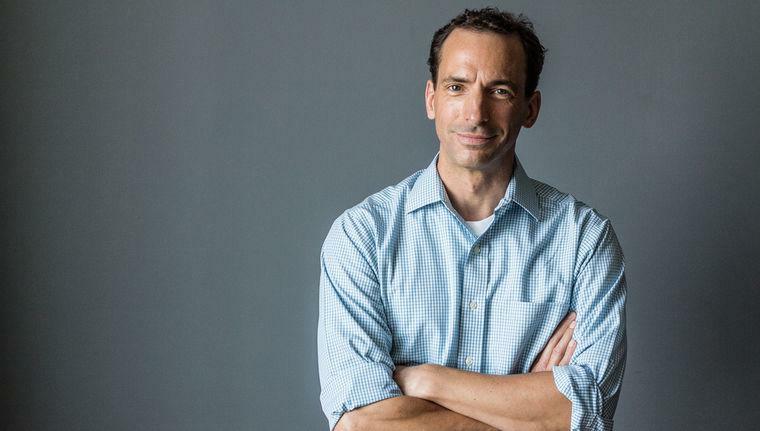 Paul Tough challenges the belief that intelligence, endlessly measured by test scores, is the sole predictor of how well a child will do in school and in life. In his bestselling book How Children Succeed, he ushered in a tidal change in thinking with his argument that curiosity, conscientiousness, optimism, self-control, and grit are better indicators of success than IQ. In his latest book, Helping Children Succeed: What Works and Why (2016), education speaker Paul Tough offers a practical guidebook for educators, parents, and community groups dedicated to improving the lives of children growing up in adversity, containing all-new strategies based in the emerging science of success. Tough identifies a phenomenon in our culture that he calls the “adversity gap”: Some kids, especially those growing up in poverty, simply have too much adversity in their lives, and others, especially those growing up in affluence, actually experience too little. Tough says that children develop character strengths when they persevere through adversity. And it’s our job – the adults in their homes and their schools and their communities – to give them the support and guidance they need to manage and grow from those setbacks and disappointments. Tough is also the author of Whatever It Takes: Geoffrey Canada’s Quest to Change Harlem and America, which chronicled the inspiring story of the Harlem Children’s Zone. He is a contributing writer to The New York Times Magazine, where he has written cover articles about first-generation college students, character education, and OxyContin addiction in Appalachia, among other topics. He has also contributed stories to This American Life, The New Yorker, The Atlantic, Esquire, and GQ. In this keynote, drawing from his new book Helping Children Succeed, Paul Tough provides a new framework for understanding the challenges of low-income children and offers some innovative solutions. It starts with the biological mechanisms that accompany adversity. Children adapt to their surroundings: Stable, loving early environments incline kids to trust and be curious. But when children grow up amidst violence or chaos—what some doctors call “toxic stress”—their stress-response systems are set to look for trouble everywhere. In school, it’s often hard for them to focus, stay calm, and trust their peers and teachers, which makes it difficult to keep up academically. They are more likely to be disciplined or punished, but less likely to receive the genuine help and understanding they need. If we want to help children develop the character strengths like grit or self-control that Tough first explored in How Children Succeed, we first need a more thorough understanding of adversity, home life, and brain development. In a keynote that distills groundbreaking research from psychologists, economists, and neuroscientists, Tough outlines the small steps parents, educators, and civic leaders can take to meaningfully change student motivation and behavior—especially among kids from low-income backgrounds. Our society currently places a great deal of emphasis on intelligence as the sole indicator of value in children’s education. But in this talk, Paul Tough lays it bare: we believe that success comes from those who score highest on tests, from preschool to SATs. Yet evidence indicates that our story here might be dead wrong. The work of a new generation of researchers and educators points to the fact that the qualities that have a better shot at indicating lifelong success are “non cognitive” or what we might refer to as “personality traits” such as: curiosity, conscientiousness, optimism, self-control, and grit. Using the tools of science, Tough peels back the mysteries of character and traces the links between early childhood neurological development and environment. By showing how “nature” and “nurture” are intertwined, Tough explores how childhood stresses modify life success and the surprising ways that parents do—and do not—prepare their children for adulthood. Tough helps us understand how early adversity affects childhood emotional, social, and cognitive development in ways that will carry on throughout their entire lives, and what we can do about it. For most of the 20th century, colleges and universities in the United States were powerful instruments of social mobility and increasing equality. Each generation’s population of college-educated adults was bigger and more diverse than the one before it—a phenomenon that helped create the great American middle class and produced the most powerful economy in the world. Today, the system of higher education in the United States tends to work very effectively for higher-income families, but it is no longer accomplishing its traditional mission of helping ambitious poor and working-class young people reach the middle and upper classes. In this talk, Paul Tough introduces the innovative new ideas—proposed by psychologists, sociologists, and economists—on how to address this problem, including a nationwide effort to better identify and recruit high-achieving low-income students to highly selective colleges. He dives into the creative solutions administrators and researchers are testing out—inexpensive interventions that plant positive ideas in the minds of struggling college students, helping them develop the grit and perseverance and sense of belonging they need to persist and succeed. If these researchers’ preliminary results hold up, says Tough, we may be on the verge of solving one of the biggest social challenges of our generation. Paul Tough: Author, Speaker, Journalist. NYT's 100 Notable Books of 2012: Paul Tough & E.O. Wilson Make The List! David Brooks Calls Paul Tough's How Children Succeed "Essential."